Imagine your whole life being washed away in an instance. Everyone you know stands up and leaves. Cynthia Lord’s book, TouchBlue, is about love and family. Tess Brookes and her family are awarded the honor of welcoming a foster child into their home to save their school. The Brookes live on an island right off of the coast of Maine. On the island there is only one school. The state of Maine is threatening to close down the school on the island and force everyone to move to the mainland to receive their education. Tess is overwhelmed with anger about this threat. In order to save the school, families all over the island are taking in foster children in order to let the student count go up so the school will be saved. The foster child that the Brookes take in, isn’t who they thought he was going to be. The saying, ¨Redheads on a boat are bad luck¨ almost directly applies to the child that the Brookes take in, Aaron Spinney. Aaron has been a foster child for two years. He tends to be quiet, but he can also be very noisy while playing his trumpet. Sometimes Aaron helps Tess work on the boat her uncle gave her. One of her only wishes is to let Aaron feel welcome but he refuses. I would recommend this book for children ages 9-12 because any older age would most likely find the book boring. The reason why I admire Touchblue is because I have a connection with Tess. Our dads both own boats. We also both live by the beach. 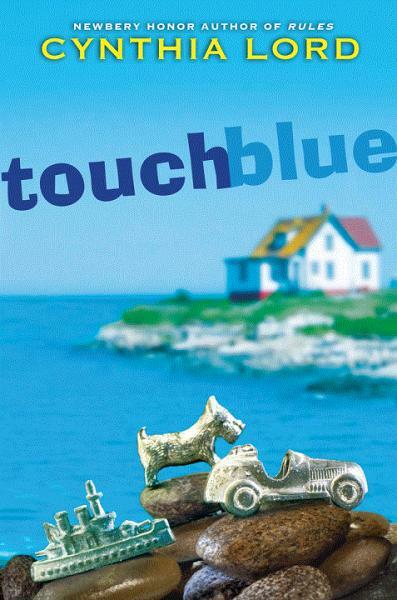 TouchBlue was an amazing read and I would definitely recommend it because it brings the reader to a harder world, where not everyone’s life is perfect and not everyone has a shoulder to cry on when life disappoints them. This book teaches a lesson to the reader and that is why I enjoyed it.